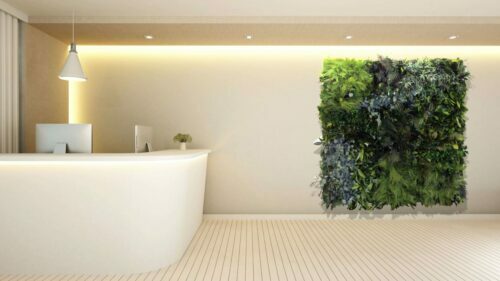 Whether as natural and sustainable reference in your company reception area, calming and relaxing background in your clinic or practice, refreshing, inspiring and sound absorbing component in public space, or as green oasis in your private rooms - NATURADOR® moss and plant walls create rooms you will love being in. The applications of Naturador® indoor green walls are versatile and almost limitless. They offer plenty of room for creativity for your imagination and ideas - let your inspiration flow! Since each project is as individual as you are, we do not offer wall greening in our web shop, but rather work on the basis of individual quotations to ensure your maximum satisfaction with our products and services.